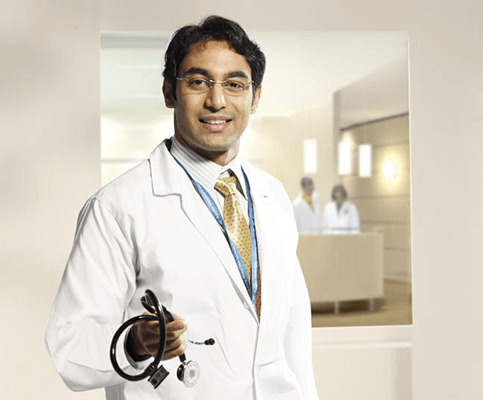 Indian Orthopaedic Association Johnson & Johnson Travelling Fellowship, 2013. ESSKA Smith & Nephew International Arthroscopic Travelling Fellowship, ESSKA, 2015. Member of Delhi Medical Council. Awarded first prize in Delhi Orthopaedic Association for non PG Orthopaedic Quiz in April 2014. Distinction holder in Pathology from Delhi University. Shortlisted for Prof. A. A. Mehta Gold medal at IOACON 2014, Hyderabad, India. Guest faculty for “Stryker symposium on patient specific instrumentation” held in August 2014, New Delhi, India. Guest faculty for Cartilage symposium under the aegis of Indian Cartilage Society held at Indraprastha Apollo Hospitals, New Delhi, India. Selected among the best free paper presentation on “Phthisis of the foot – a review of 30 cases” at SICOT 2013, Hyderabad, India. Member of the organizing committee of Indian Orthopaedic Association clubfoot workshop in 2012. Member of the organizing committee of Indian Orthopaedic Association Instructional Course Lectures (IOAICL) 2008. Organizing member “JESS fixators in clubfoot workshop” in LHMC 2008. Organizing member of the first “Osteoporosis Day” in Dr. Ram Manohar Lohia Hospital in 2009 under the aegis of IOA. Reviewer with Journal of Clinical Orthopaedics & Trauma, Cureus, BMJ Case Reports – all journals of international repute. Dr. Vipul Vijay under graduated from the prestigious Maulana Azad Medical College, New Delhi and went on to do his MS (Orthopaedics) from Lady Hardinge Medical College, New Delhi and associated Dr. Ram Manohar Lohia Hospital, SSK Hospital and Kalawati Saran Children’s Hospital. During his academic career, he was a distinction holder from Delhi Universityas well as certified from the ATLS. He did his advanced training in joint replacement and arthroscopy from The Prince Charles Hospital, Brisbane, Australia. He visited the Cape Shoulder Institute, Cape Town, South Africa to further fine tune his skills in shoulder arthroscopy. He has been awarded the prestigious Indian Orthopaedic Association travelling fellowship and the World Society of Pediatric Diseases (WSPID) fellowship to present his work in Cape Town. He was awarded the Diploma SICOT (Belgium) and was also awarded the European Society of Sports traumatology and Knee Surgery (ESSKA) fellowship to further chisel his expertise in sports medicine and arthroscopy. He is very well read with more than 60 research publications and more than 20 national and international level lectures to his name. Dr. Vipul Vijay is an orthopaedic surgeon who is well versed in all basic and complicated orthopaedic surgeries with special expertise in primary and complex joint replacement, arthroscopy of the upper and lower limb and complex trauma. He is presently working in Indraprastha Apollo Hospitals, New Delhi as Full time Consultant, Orthopaedics, Joint Replacement & arthroscopy. His main motto for work is to combine his interests in clinical care, education and research to develop a well-rounded practice. Through this practice, he aims; look forward to making meaningful and rewarding contributions to his patients, colleagues and to the field of orthopaedics. “Intra – op fractures in total hip arthroplasty. What to do?” UP OrthoCon March 2015, India. “Local infiltrative analgesia decreases hospital stay in primary total knee arthroplasty – a double blind randomized clinical trial” – Prof. A.A. Mehta Gold Medal session at Indian Orthopaedic Association conference at Hyderabad, October 2014. “Diagnosis of cartilage lesions” at Indian Cartilage Society meeting at Indraprastha Apollo Hospital, New Delhi, September 2014. “Patient specific instrumentation in total knee arthroplasty – review of literature” – at Stryker “Meet the Experts” – A symposium in PrePlan held in New Delhi, India, August 2014. “Tuberculosis of the first metatarsal in adolescent” – at World Society of Pediatric Infectious Diseases conference 2013, Cape Town, South Africa. “Phthisis of the foot – a review of 30 cases” at SICOT 2013, Hyderabad, India. “Treatment of displaced intra-articular calcaneum fractures with closed reduction and percutaneous fixation – anatomical correction and functional results” in IOACON 2012, Chennai, India. “Tuberculosis of the foot” at Asia Pacific Orthopaedic Association (APOA) 2012, New Delhi. “Tuberculosis of the mid foot – a review of 10 cases” at SICOT 2012 in Dubai. “Lytic lesions of the foot – differential diagnosis” – at IOACON 2014, Hyderabad. “Simultaneous bilateral total knee arthroplasty in greater than 70 years old” at IOACON 2014, Hyderabad. “Management of bipartite patella – a review of 5 cases” - at Delhi Orthopaedic Association conference, November 2014. “Multi-centric giant cell tumor in the same limb” – at Delhi Orthopaedic Association conference, November 2014. “Painful lytic lesion of the foot” at Delhi Orthopaedic Association conference, April 2014. “Lytic lesion in talar neck – unusual location for tuberculosis" at SICOT 2013, Hyderabad, India. "Minimal invasive calcaneal osteosynthesis – a viable option" at SICOT 2013, Hyderabad, India. “Tuberculosis of the supra-sternal lymph node” at Asia Pacific Orthopaedic Association (APOA) 2012, New Delhi. “Abscess in suprasternal notch – an unusual site for pretracheal lymph node tuberculosis” at SICOT 2012 in Dubai, UAE. “Lytic lesion in the first metatarsal” at Asia Pacific Orthopaedic Association (APOA) 2012, New Delhi. “Giant cell tumour of clavicle in an adolescent girl: a case report” at DOACON 2012 at PGIMER, Dr.R.M.L.Hospital, New Delhi. “Fracture neck of femur: the need for fixation” at DOACON 2012 at PGIMER, Dr.R.M.L. Hospital, New Delhi. Kapoor SK, Chaudhry A, Vijay Vipul. Massive Osteochondroma of scapula requiring total scapulectomy- a case report and brief review of literature. KOA Journal January 2010; 40-43. Kapoor SK, Jangira V, Patra SR, Vijay Vipul, Kapoor S. Irreducible posterior fracture dislocation of hip (Pipkin's type II): a rare lesion preventing reduction. J of Orthopaedics, Traumatology and Rehabilitation 2009; 2(1):92-95. Vijay Vipul, Sud Alok, Mehtani Anil, Nangia Anita. Expansile lytic lesion in medial end clavicle in an adolescent girl: a case report. Journal of Musculoskeletal Research Vol. 15, No. 03 (2012). SK Kapoor, SR Patra, Vipul Vijay. Multi-organ hydatidosis with extensive involvement of hemi-pelvis and ipsilateral femur. Parasitology International 2013 Feb;62(1):82-5. R Vaishya, Vijay Vipul, Madhok M, Vaish A. Treatment for acute anterior cruciate ligament tear: five year outcome of randomised trial. BMJ. http://www.bmj.com/content/346/bmj.f232/rr/679870. Vaishya R, Vijay Vipul, KC Kapil M, Birla VP. Non Union neck of femur in a young patient. Apollo Medicine. doi:10.1016/j.apme.2014.01.005. Vaishya R, Vijay Vipul, Vaish A. Spontaneous osteonecrosis of the knee: an unusual cause of knee pain. BMJ Case Rep. 2014 Apr 30;2014. pii: bcr2014204570. doi: 10.1136/bcr-2014-204570. Prakash J, Vijay Vipul. Tuberculosis of the patella imitating chronic knee synovitis. BMJ Case Rep. 2014 Apr 15;2014. pii: bcr2014203971. doi: 10.1136/bcr-2014-203971. Vaishya R, Vijay Vipul, KC Kapil M. How old is old for bilateral simultaneous total knee arthroplasty? Journal of American Geriatric Society. J Am Geriatr Soc. 2014 Oct;62(10):2011-2. Vaishya R, Vijay Vipul, Vaish A. Bilateral hip pain with hypogonadism. Apollo Medicine. Volume 11, Issue 2, June 2014, Pages 145–146. Vaishya R, Vijay Vipul. Management of bipartite patella : a review of 5 cases. Journal of Orthopaedic Surgery. 2015 Apr;23(1):127-30. Vaishya R, Vijay Vipul, Khanna V. Spina ventosa in an 18 year old. Apollo Medicine September 2014 Volume 11, Issue 3, Pages 239–240. Vijay Vipul, Mehtani A, Sud A. Multifocal bilateral metatarsal tuberculosis: a rare presentation. Journal of Foot & Ankle Surgery 2015 Jan-Feb;54(1):112-5. Vaishya R, Vijay Vipul, Birla VP. Patient specific instruments for primary total knee arthroplasty: A new concept. Apollo Medicine. Volume 11, Issue 4, December 2014, Pages 277–283. Vaishya R, Vijay Vipul. Bilateral acrometastasis secondary to Renal Cell Carcinoma. BMJ case reports. BMJ Case Rep. 2014 Nov 3;2014. pii: bcr2014206402. doi: 10.1136/bcr-2014-206402. Vaishya R, Vijay Vipul. Dislocation of a constrained Total Knee Arthroplasty with patellar tendon rupture. Chinese Journal of Traumatology (accepted for publication). Vijay Vipul, Tyagi V, Mehtani A. Comment on Zeng et al : Vascularised greater trochanter bone graft, combined free iliac flap and impaction bone grafting for osteonecrosis of the femoral head. International Orthopaedics 2013 Jul;37(7):1421. Vaishya R, Swami S, Vijay Vipul, Vaish A. Bilateral total hip arthroplasty in a young man with hereditary multiple exostoses. BMJ Case Rep. 2015 Jan 5;2015. pii: bcr2014207853. doi: 10.1136/bcr-2014-207853. Vaishya R, Vijay Vipul, Vaish A. Letter to the Editor: Patient-Specific Instrumentation Does Not Shorten Surgical Time: A Prospective, Randomized Trial. J Arthroplasty. 2014 Jul;29(7):1508. Vaishya R, Vijay Vipul. Comment on Conteduca et al. : Patient-specific instruments in total knee arthroplasty. Int Orthop. 2014 May;38(5):1123-4. Vijay Vipul, Vaishya R. Letter to the Editor on “Simultaneous Bilateral Knee Arthroplasty in Octogenarians: Can It Be Safe and Effective?” Journal of Arthroplasty 2014 Sep;29(9):1877-8. Vaishya R, Vijay Vipul. Letter to the editor on "Can total knee arthroplasty be safely performed among nonagenarians? An evaluation of morbidity and mortality within a total joint replacement registry". J Arthroplasty. 2015 Jan;30(1):156-7. Vijay Vipul, Vaishya R. Comment on “Plant thorn synovitis of the elbow”. Journal of Clinical Orthopaedics & Traumatology. Published online: January 13, 2015. Vaishya R, Agarwal A, Vijay Vipul, Mancha D. Single stage management of a neglected radial club hand deformity in an adult. BMJ Case Rep. 2015 Feb 10;2015. pii: bcr2014208682. doi: 10.1136/bcr-2014-208682. Vaishya R, Agarwal A, Vijay Vipul. Metachronous multicentric giant cell tumour in a young woman. BMJ Case Rep. 2015 May 15;2015. pii: bcr2015209368. doi: 10.1136/bcr-2015-209368. Vaishya R, Agarwal A, Vijay Vipul. Vitamin D – old wine in new bottle. Journal of Clinical Orthopaedics & Traumatology. Vol. 6, Issue 3, p173–183. Vaishya R, Agarwal A, Vijay Vipul. Osteoarthritis of the hips in hereditary multiple exostoses. Apollo Medicine. Published online: March 2, 2015. Vaishya R, Vijay Vipul. Painful lytic lesions of the foot. Malaysian Journal of Orthopaedics. Malaysian Orthopaedic Journal 2015 Vol 9 No 1, p35-37. Vaishya R, Vijay Vipul, Agarwal A. Letter to the Editor on "Releasing of Tourniquet Before Wound Closure or Not in Total Knee Arthroplasty: A Meta-Analysis of Randomized Controlled Trials". J Arthroplasty. 2015 Jul;30(7):1290-1. doi: 10.1016/j.arth.2015.01.038. Agarwal AK, Chandrashekhar V, Vaishya R, Vijay Vipul. Metachronous multicentric giant cell tumour of right lower extremity:a rare presentation. J Clin Orthop Trauma 2015, 6:79. Vijay Vipul, Vaishya R, Wani AM. Local infiltrative analgesia reduces post op pain and hospital stay in total knee replacement. J Clin Ortho Trauma 2015,6:66. Vijay Vipul, Vaishya R, Vaish A. Management of bipartite patella – a review of 5 cases. J Clin Orthop Trauma 2015,6:82. Vaishya R, Agarwal AK, Vijay V. Salvage Treatment of Aggressive Giant Cell Tumor of Bones with Denosumab. Cureus. 2015 Jul 30;7(7):e291. Vaishya R, Vijay Vipul. Successful salvage of an unstable Girdlestone's excision arthroplasty with megaprosthesis of the hip. Journal of Clinical Orthopaedics & Trauma. Published online: April 23, 2015. Vijay Vipul, Vaishya R. Isolated C-C joint tuberculosis – a diagnostic dilemma. The Foot. Published online June 11,2015. In press, corrected proof. Vaishya R, Vijay Vipul, Agarwal AK. Letter to the Editor on "Bilateral Total Hip Arthroplasty has Similar Complication Rates to Unilateral Total Hip Arthroplasty". J Arthroplasty. 2015 May 18. pii: S0883-5403(15)00381-2. doi: 10.1016/j.arth.2015.05.012. Demesugh MD, Vaishya R, Agarwal AK, Vijay Vipul. Multiple atraumatic osteoporotic vertebral fractures: an unusual cause of back pain in a young adult. Apollo Medicine(2015), Vol. 12, Issue 2, p144–147. Vaishya R, Vijay Vipul, Agarwal AK, Vaish A. Arthroscopic surgery for degenerative knee: a meta-analysis and systematic review of benefits and harms. BMJ. 2015:350 doi:http://dx.doi.org/10.1136/bmj.h2747 (Published onine 16 June 2015. Vaishya R, Agarwal AK, Vijay Vipul. 'Salvage Treatment' of Aggressive Giant Cell Tumor of Bones with Denosumab. Cureus. 2015 Jul 30;7(7):e291. Vaishya R, Agarwal AK, Vijay Vipul. Lessons learnt from a case of multiple myeloma. BMJ Case Rep. 2015 Aug 25;2015. pii: bcr2015211358. doi: 10.1136/bcr-2015-211358. Vaishya R, Vijay Vipul, Agarwal AK. Reversed distal femoral locking plate for proximal femoral fractures after failed proximal femoral nail. International Orthopaedics (accepted). Vaishya R, Vijay Vipul, Swami S. Isolated intra-articular osteochondroma of the hip”. Acta Orthop et Trauma Tur. (accepted). Vaishya R, Agarwal AK, Vijay Vipul, Shrivastava VK. A hidden cause of troublesome finger pain in an adult. Apollo Medicine, Vol. 12, Issue 3, p216–217. Vaishya R, Agarwal AK, Vijay Vipul. Megaprosthesis of elbow for resistant non union of distal humerus. JOCR (in press). Vaishya R, Vijay Vipul. Outcome of anatomical locked lateral end clavicle plate in young adults”. Chinese Journal of Traumatology. (under review). Vaishya R, Vijay Vipul, Agarwal AK. Total knee arthroplasty using patient specific blocks after prior femoral fracture without hardware removal. Journal of Orthopedic Surgery. (In press).